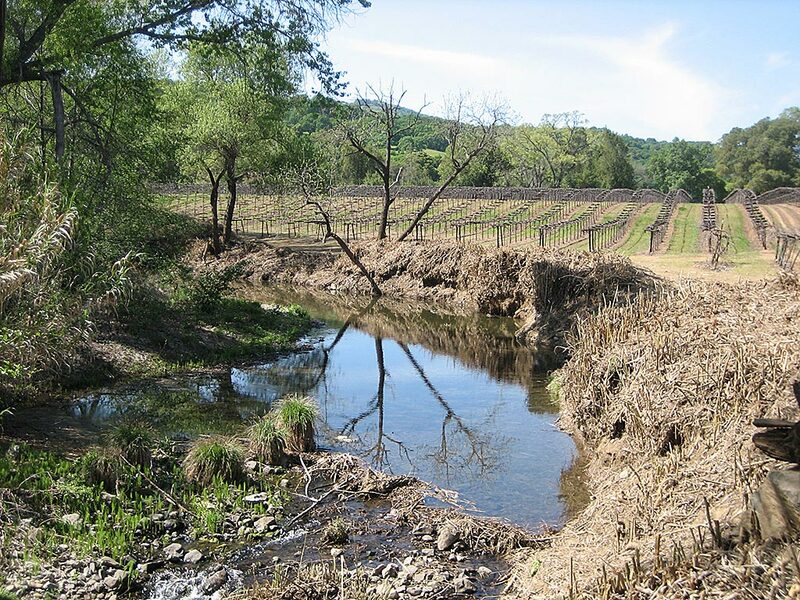 Suisun Creek is a minimally developed San Francisco Bay tributary that winds its way through rural Napa and Solano counties and contains a robust population of endangered wild steelhead trout. 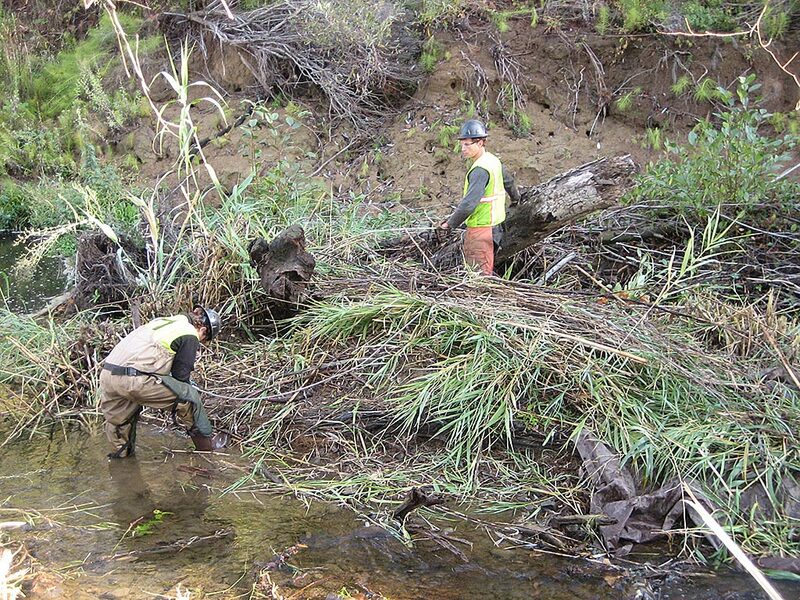 A diverse group of stakeholders including private landowners and several agricultural, sportfishing, and environmental organizations have developed a plan to enhance and restore degraded elements of the watershed to better support steelhead trout. 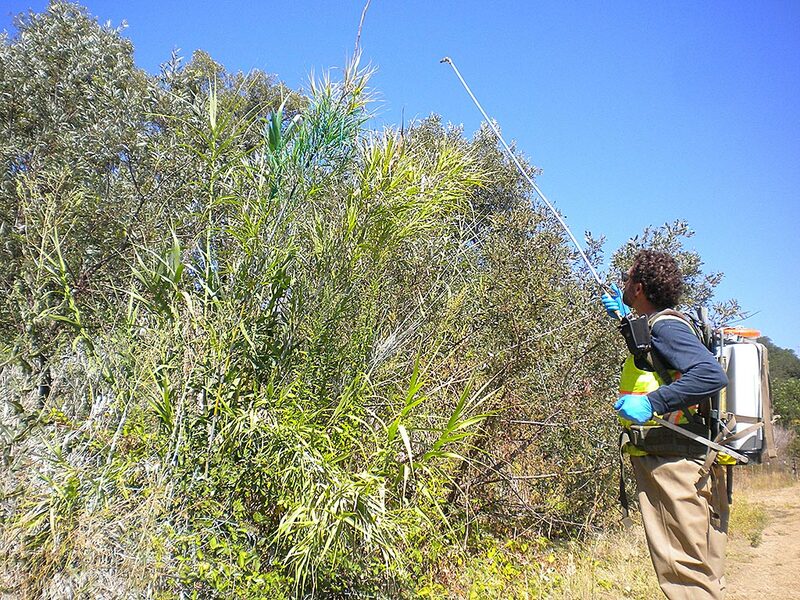 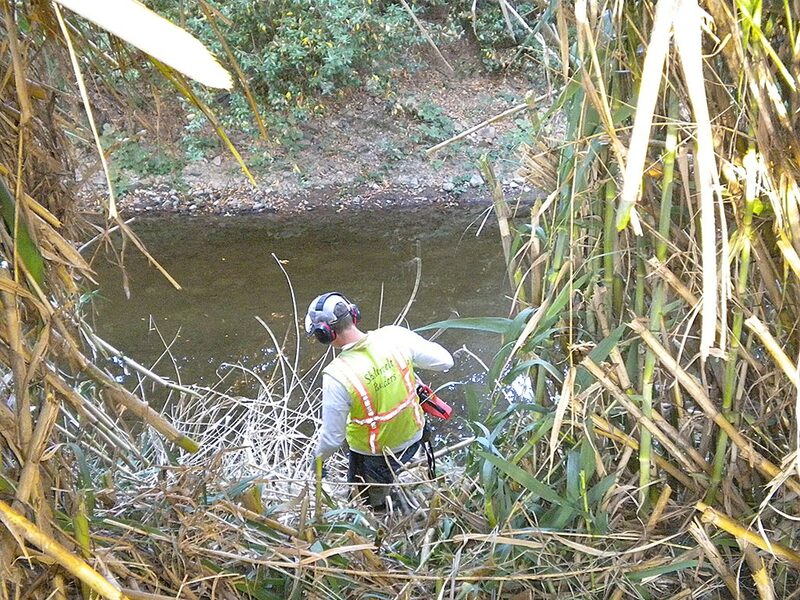 In a preliminary environmental assessment, the invasive plant giant reed (Arundo donax) was identified as present in small, discrete populations with great potential to spread throughout the watershed. 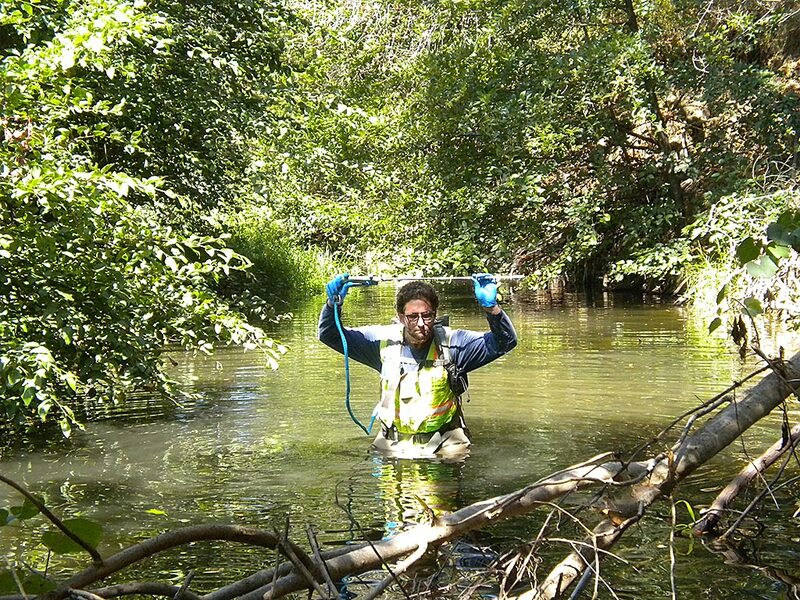 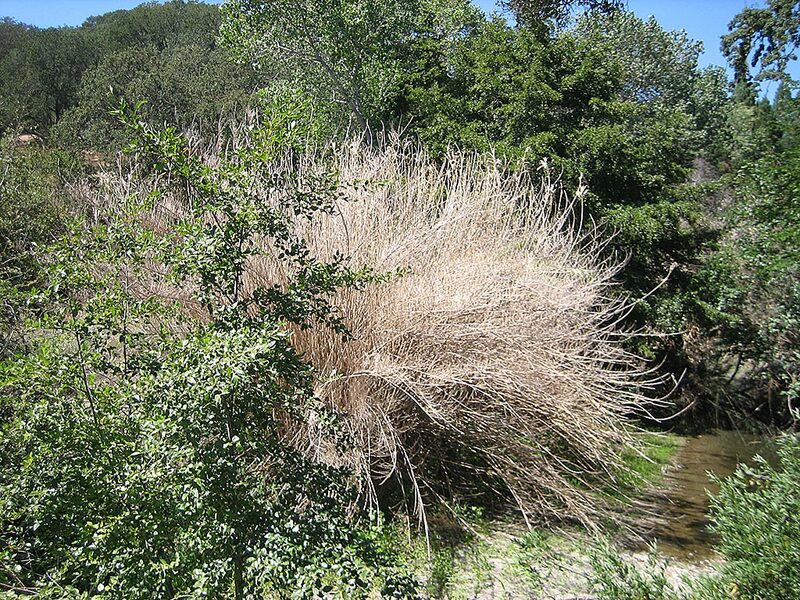 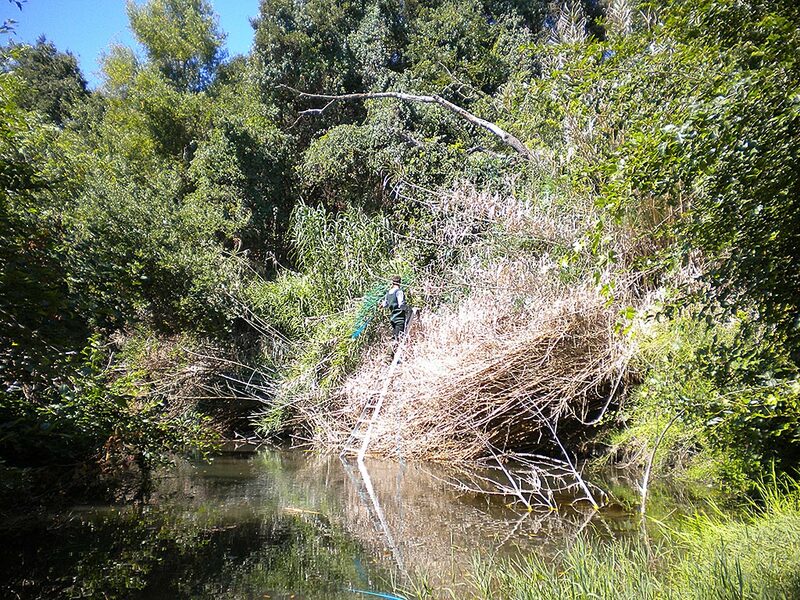 This single invasive plant species has the potential to rapidly degrade steelhead trout habitat by displacing native riparian tree species that provide critical shade, cool temperatures, insect diversity, and channel-stabilizing woody debris. 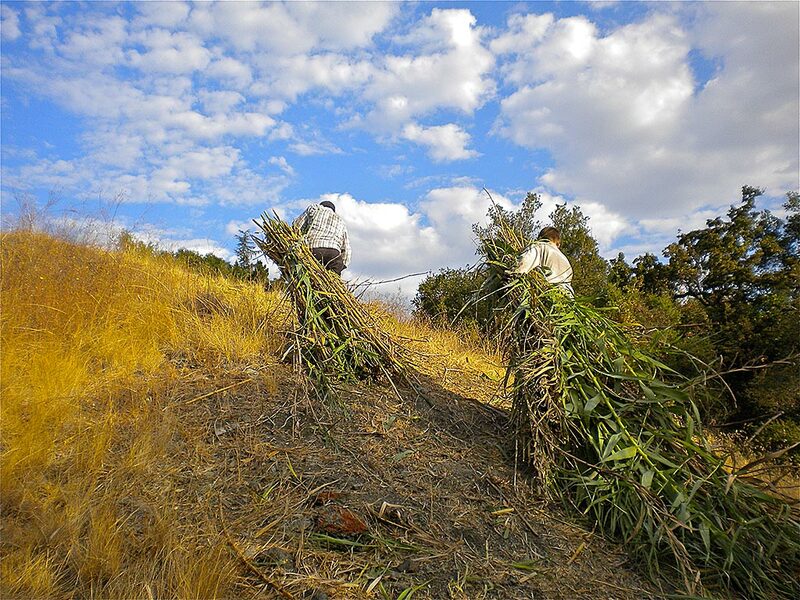 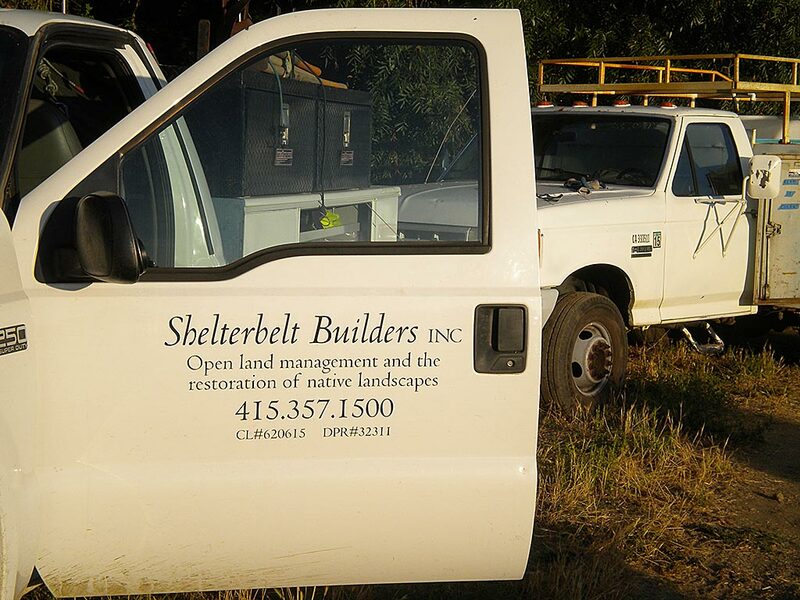 In 2006, Shelterbelt took on a project in conjunction with the California Land Stewardship Institute to eliminate the small source populations of giant reed throughout the watershed on public and private lands. 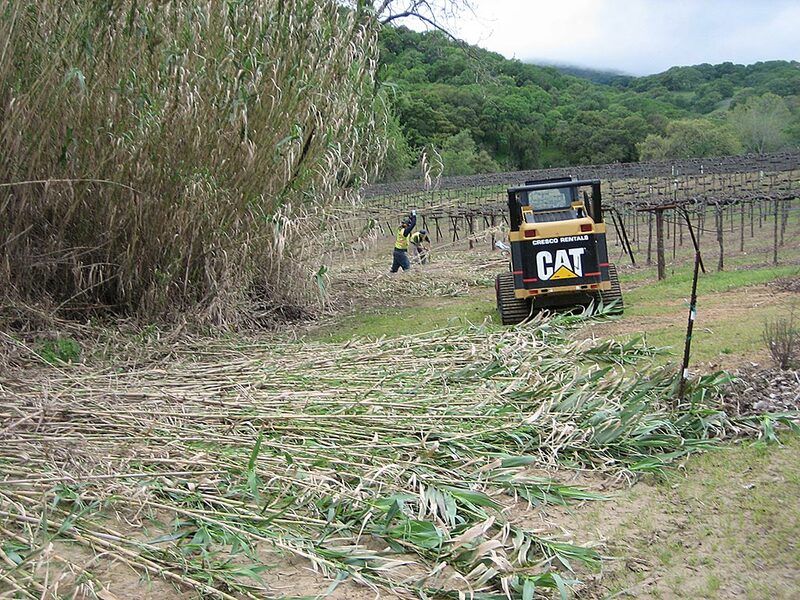 Most stands were located next to vineyards, so collaboration with landowners was required to determine access points, work timing, debris pile locations, and to avoid impacts to crops. 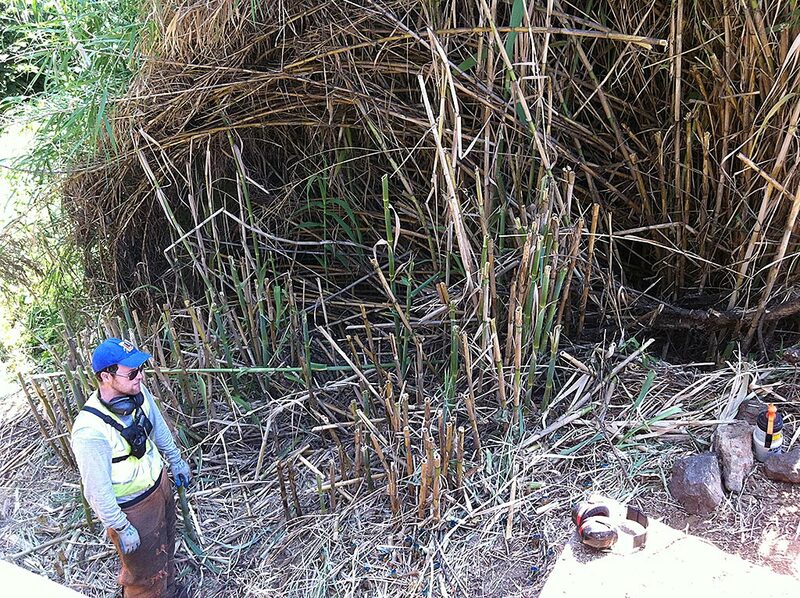 A combination of methods to remove giant reed was used depending on specific site characteristics. 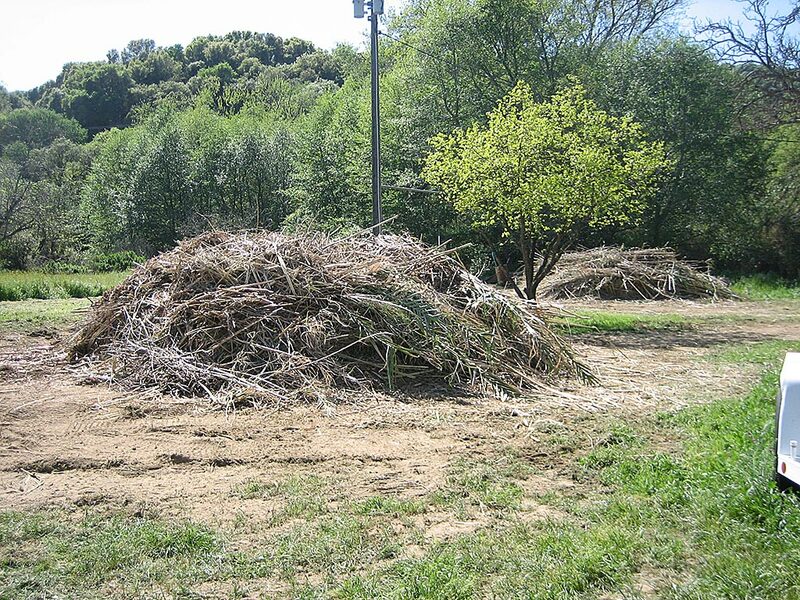 Methods included mechanical removal with heavy equipment, piling and burning biomass, and aquatic-approved herbicide treatments. 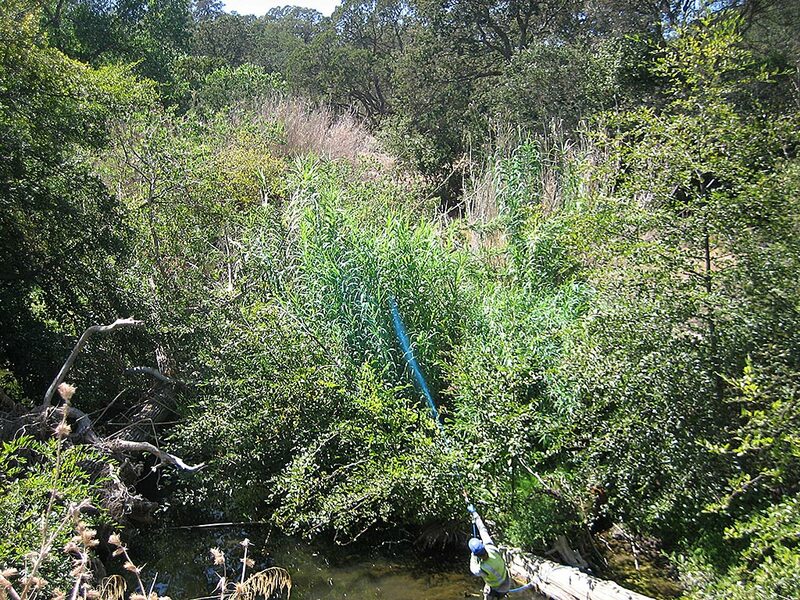 In some cases, removal was followed by the replanting of native riparian tree species and in-stream erosion control treatments.